Rob is a DCT Practitioner and a Certified IKFF Kettle Bell Coach. His interest in helping others achieve a functioning body has motivated him to progress through the levels of DCT (Dynamic Contraction Technique). Sharing the benefits of DCT in everyday life inspires Rob to keep learning and mastering these amazing tools. Rob is a physical fitness enthusiast and has been active in sports since a young age. He’s played basketball his entire life and now is active in the Kettlebell sport world. For the past few years, Rob’s focus has been finding a functional approach to fitness and physical longevity. He became a trainer in the slow motion method where both eccentric and concentric loads are controlled through a range of motion. He found the similarities between that and DCT helped him learn a deeper approach to muscular control. As he progressed through his journey, Kettlebell master and movement specialist Steve Cotter introduced him to Kettlebell training. He found the perfect tool to blend with DCT. Rob is now finding creative ways to work DCT with the Kettlebell system. He prides himself in helping people meet their personal fitness goals and their lifelong goals. Nic Bartolotta introduced Rob to Dynamic Contraction Technique (DCT) after he injured his shoulder in a weight lifting accident. Nic showed him that by applying the basic principles of DCT, we could heal quickly from injuries and we can change poor movement patterns allowing us to feel better in our bodies on a daily basis. 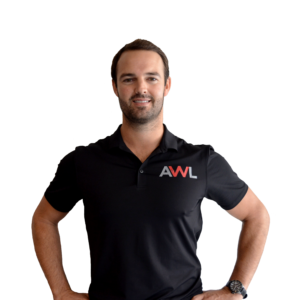 The profound effectiveness of DCT at resolving his shoulder injury and the immediate impact he felt on his strength and overall sense of wellbeing are what inspired him to become a certified DCT Practitioner. Since enrolling in the certification program, his flexibility has improved dramatically and he feels like he’s gained a unique and valuable understanding of functional fitness and corrective exercise, as well as his own muscular awareness. He has always looked to try new things that will ultimately help him be the best practitioner and coach that he can be. He has found in DCT a system that he can embrace and share what he is learning to help his clients. He looks forward to becoming a master trainer in the near future, helping teach the world about the life changing benefits DCT offers.